So we went back to the drawing board, parents pushing, me pushing back and a well-intentioned therapist saying all the right things at exactly the wrong time. I wasn’t ready to give up. Daddy and I came to lots of temporary truces. “If you gain 8 pounds in the next month, you can have the Honda when you turn 16,” he bargained once. I felt trapped. To be true to my personal agenda of uncommon resolve and self-discipline, I had to perform certain long workouts and eat a certain number of calories and tally only a certain number of fat grams. But, my parents were offering me a different challenge. To please them, I had to perform as well, simply doing the opposite all my anorexic tendencies. Either way, I was a failure. 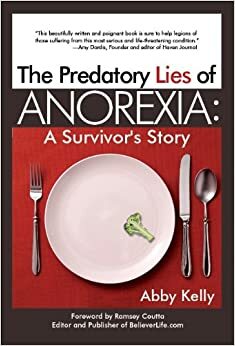 If I relinquished control of my strict diet and exercise regimen, I would fail as an anorexic, a new title I found strangely compelling, a definition all my own. If I failed to gain the agreed upon pounds, I would fail to meet my parents’ expectations. To this point, the first 15 years of my life, I believed I had fallen short of my parents’ mark. That battle might have been lost, but I hadn’t yet played all my cards in the effort to beat my own nebulous goals. I chose to play another hand.